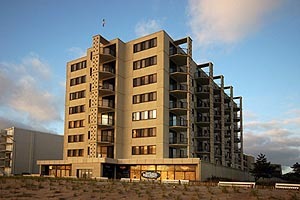 One Virginia Avenue is an oceanfront condominium that provides tranquil views of the ocean and a close proximity to all the amenities of the active resort town of Rehoboth Beach. Amenities abound with a library/game/meeting room that adjoins its welcoming lobby. Enjoy hot, sunny days relaxing by the outdoor pool. Boasting a great rental history too One Virginia is for the savvy purchaser looking to invest or just own their own piece at the beach.